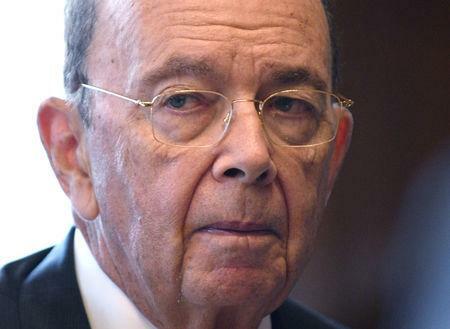 NEW YORK (Reuters) - The U.S. Supreme Court on Monday blocked a judge's order forcing Commerce Secretary Wilbur Ross to give a deposition in a lawsuit by 18 states challenging a planned question in the 2020 census that would ask respondents whether they are U.S. citizens. It represented only a partial win for President Donald Trump's administration as the justices declined to halt Furman's orders compelling a top Justice Department official, John Gore, to sit for a deposition and for the administration to hand over more documents on the matter. The court gave the government until Oct. 29 to appeal all of Furman's orders. Ross' deposition remains on hold until at least then. Furman had said that Ross, whose department oversees the U.S. Census Bureau, must be questioned because his "intent and credibility are directly at issue" in the lawsuit. The issue tests the justices' views, including those of Trump's new appointee, Brett Kavanaugh, on how much deference courts should give to a president's Cabinet members and other high-level administration officials. Amy Spitalnick, a spokeswoman for New York Attorney General Barbara Underwood, who is among the state officials suing the administration, welcomed the court's decision to allow complete discovery in the case with the exception of Ross' deposition. "We'll get to the bottom of how the decision to demand citizenship status was made, as we continue our case to ensure a full and fair census," she said in a statement. The lawsuit, spearheaded by state and local Democratic officials, was filed in April in federal court in New York. It is consolidated with another suit by several immigrant rights groups accusing the government of discrimination against non-white immigrants in violation of the Constitution's guarantee of equal protection under the law. Furman said Ross' credibility was at issue because there was doubt about his public statements that the Justice Department initiated the request to include the citizenship question and that he was not aware of any discussions with the White House about it.